White Swan Lake is much quieter than its larger neighbour, Black Swan Lake. 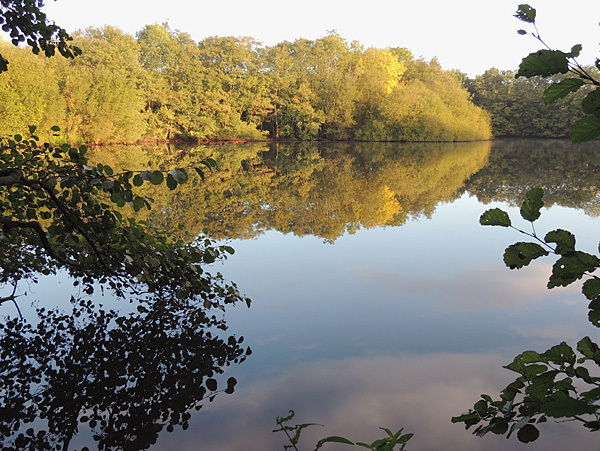 A number of swims have been built into the banks for coarse fishing in season, but the water is otherwise undisturbed. However, the lake appears less attractive to ducks and geese than most of the others in the Country Park, typically holding only small numbers of Tufted Duck, Gadwall and Mallard. 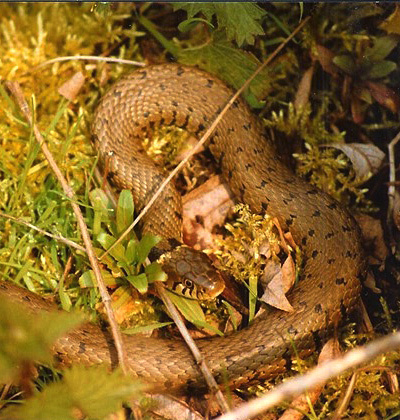 However, Bittern frequently winter in a reed-bed in the north west corner of the lake and may sometimes be watched from a gap in the willows on the opposite (NE) side at dusk. 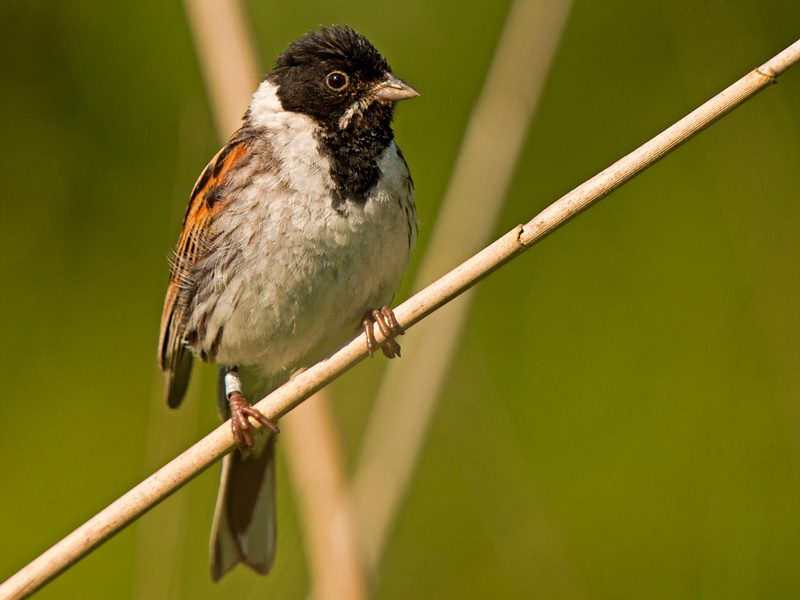 The same reeds are home to breeding Reed Warblers, Sedge Warblers and Reed Buntings during the summer months. On the west side of the lake visitors can take the path along the River Loddon bank, where, in winter, Siskins and sometimes Lesser Redpolls can be seen feeding in the alders. 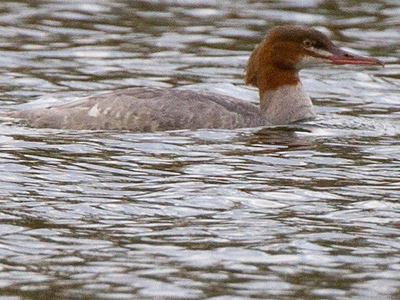 The occasional uncommon species will show up on White Swan Lake, with Goosanders always a possibility in winter. View White Swan Lake in google maps.